Yes, sugar ants do bite. But, their bites don’t usually cause big problems unless a person is allergic to them. For most people, ant bites look like minor skin irritation or even pimples. When an ant bite becomes infected or is made worse by allergy, however, it can look like a huge blister or welt. How Do Sugar Ant Bites Compare to Other Ant Bites? Sugar ant bites are minor compared to other ants. Bites from fire ants, for example, are actually stings because the fire ant uses a stinger to inject venom into its victim. Sugar ants, on the other hand, use their mandibles and mouth to pinch human skin. Still, other species of ants don’t actually bite. Instead, they spray formic acid. If a sugar ant bites you, you usually don’t need to take action. If it is bothering you, try washing the area and putting some antibiotic ointment on it. Reduce any pain by icing the bites. Reduce any itching by applying a topical treatment. You can buy over-the-counter steroid creams and antihistamines at your local drug store. Of course, if you are covered in bites or develop an allergic reaction to a sugar ant bite, it’s best to get a doctor’s advice. Talk with a healthcare provider about your situation. If you have an ant infestation in your home, you’ll also want to talk with an experienced exterminator. 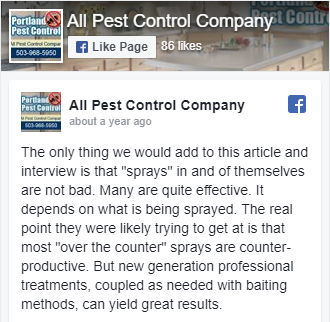 At All Pest Control Company in Portland, Oregon, we have been helping homeowners get rid of ants in their homes. That’s how we can tell you the most effective way to get rid of ants quickly. What Is a Sugar Ant, Anyway? 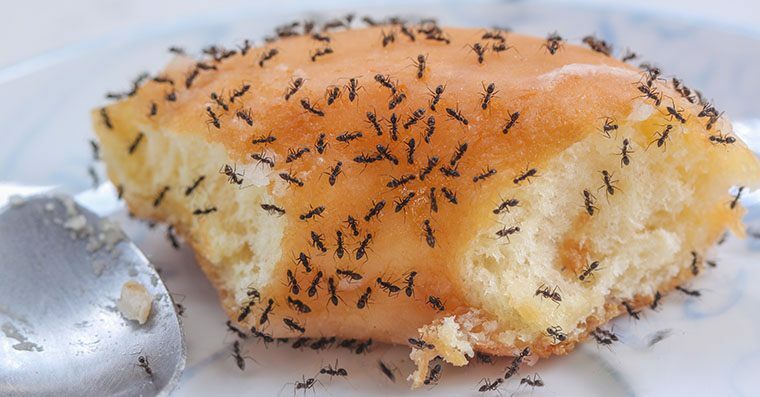 Actually, “sugar ant” is kind of a catch-all name for ants that go after sweet things in the home. 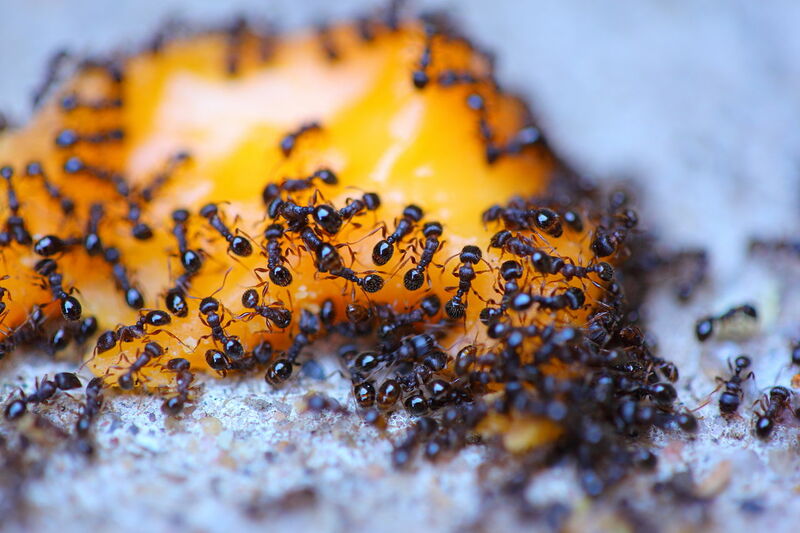 You might find a line of sugar ants going into your cupboards or pantry. 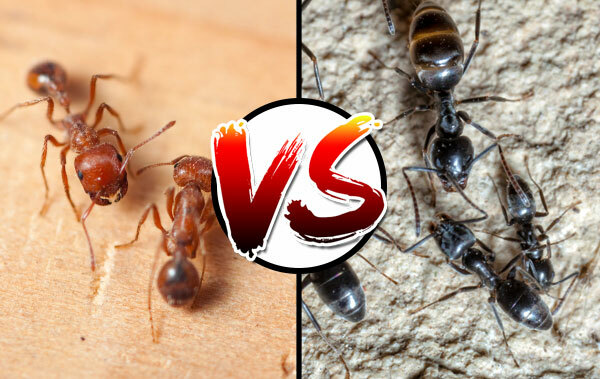 Professional exterminators looking for sugar ants in homes often discover that those ants are actually odorous house ants. They are called that because they give off a strong smell when squished. An exterminator can help you identify exactly which type of ants you have in your home. 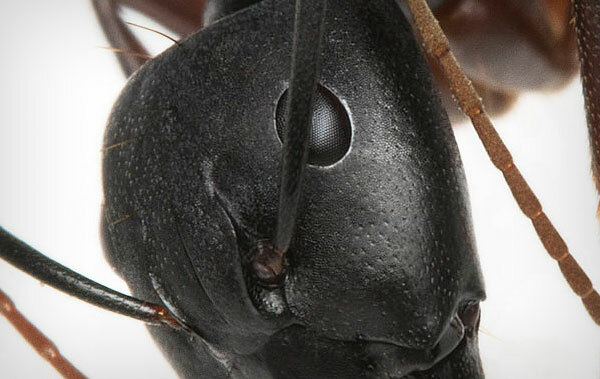 Many ants— like small, black carpenter ants—can be big problems for Portland-area homeowners. Dealing With an Ant Infestation? 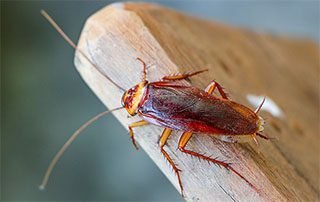 Call Our Professional Pest Removal Team for Help. If you think you may have an ant infestation on your property, it’s time to get a professional’s help. 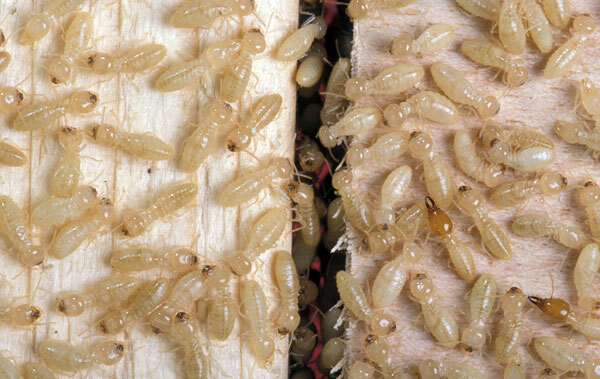 Call All Pest Control Company in Portland at 503-968-5950 or contact us online. We can give you a free, no-obligation pest control estimate.